Mightnight Special descends onto Blu-ray from Warner Bros. in a handsome 2.35:1-framed, 1080p AVC transfer of the film's down-to-earth mixture of daytime and nighttime shots throughout the pedestrian nooks and crannies of the American landscape. Shots in dimly-lit hotel rooms and houses offer a phenomenal grasp on the subtle glow of lamps upon the actor's facial features, never drowning out details with overly dark black levels. Exterior nighttime shots endure a bit of black crush in spots, especially in the cabin of a car, but it's not overly obtrusive. Scenes hit with daytime light draw out warm, convincing flesh tones and finely-saturated color balance, while interior shots in schools and government buildings allow plenty of fine details in clothing, facial hair, and other elements to come about. It's not a flashy transfer, exhibitinga bit of dimness and noise at times, but it certainly captures the feel that Nichols strives for in his films, and it relishes the sparse digital effects -- notably Alton's eye radiance -- wherever necessary. The DTS-HD Master Audio track doesn't possess a consistent rush of noteworthy moments, but it comes through whenever there's a gunshot, a crashed car, or an energy pulse that needs emphasis. A fine degree of separation hallmarks the front end of the surround stage, scattering firmer audio effects across the two front channels with brilliant clarity and balance, maintaining an even keel with the emotive music throughout. There are a few moments of overzealous bass response early on, overpowering certain other effects with impact, but later scenes with strong contact and consistent lower-end resonance are evenly handled. The energy of Alton's eye projectiles and the buzzing of sonic interference spread capably throughout all the surround channels, never exhibiting any distortion, while the dialogue remains articulate and natural without really standing out as anything remarkable. English, French, Spanish, and Potuguese spoken languages and subtitles are available. 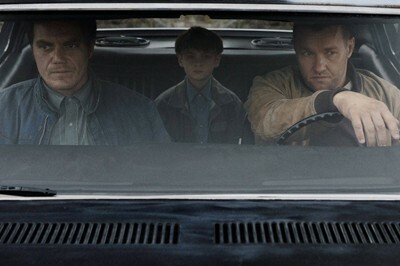 Warner Bros. have only provided a pretty light handful of extras for Jeff Nichols' latest film, starting off with a series of character vignettes, Origins (12:36, 16x9 HD) that tracks through some of the implicit elements of each of the featured characters with writer/director Jeff Nichols offering his insights through interviews. They're followed up by The Unseen World (5:12, 16x9 HD), where Nichols discusses his creative motivations for making the film and the rest of the cast/crew offer some general insights on the narrative's mystery. Altogether, we're looking at less than twenty (20) minutes of material. 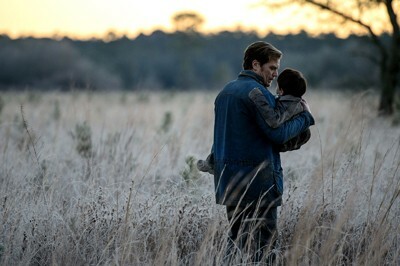 Midnight Special finds writer-director Jeff Nichols branching out from his catalog of poignant, personal stories and into the realm of science-fiction, and the shift proves to be a little more than his immense talents can realize. While his story of a supernaturally-gifted young boy and his father on the run -- from both the government and religious zealots alike -- taps into some of the same kind of intimate drama and pensive ambiguity of his previous works, there's too much left vague and not enough original thought present in his indie mystery. There's beauty, strong performance value, and some poeticism in Nichols' slow-reveal of the secrets lying underneath young Alton's special powers, but they don't quite gel into the cohesive and meaningful tale they almost became. WB's Blu-ray looks and sounds great, though a few more extras would've certainly been welcome. Mildly Recommended.